How do you cope with promotion planning in your supply chain? ‘Coupon for 15% off’ , ‘buy the second at half price’, ‘buy three for the price of two’. We are all familiar with the promotional campaigns of FMCG (Fast Moving Consumer Goods) players to attract new customers, to launch new products or just to give turnover a boost. However, what is often a logical step for Sales and Marketing to be able to achieve their goals, does create a lot of logistical challenges for the Supply Chain colleagues. The demand planning process, for example, can be messed up quite significantly by sales promotions. If the promotion planning process is not properly managed, there is a risk of a negative effect on the total turnover which, of course can’t be the intention. To ensure that sales promotions deliver added value, it’s necessary that the impact of the promotion on the whole organization is understood well, that there’s a process in place to handle the volume and the financial impact and that a well-integrated demand planning tool is available. 1. Cannibalization: If two products in the organization’s product portfolio are almost perfect substitutes for each other, than there’s a good chance that the promoted product will end up in the customer’s shopping basket instead of the other, quite similar product. Sales of the discounted product increase, but at the expense of another product in the range. Or in other words, the sales of the promoted product eats the other sales. 2. Halo effect: This is just the opposite of cannibalization, whereby there’s a bias shown by customers towards certain other products made by the same manufacturer. Think, for example, of a promotional campaign for gin. Since a lot of people use gin to make cocktails with, there could be better sales for tonic too during the promotional period. 3. Stealing effect: Before and after the promotion there may be a sales dip for the promoted item, the so-called pre-promotional and post-promotional dips. Customers await the sales promotion before buying and once they have bought the discounted product, they won’t need to purchase it anymore in the period just after the promotion. The effects described above, show that organizations have to take into account different types of volume impacts, but that a sales promotion can also have a financial impact. Additional one-time costs related to the promotional activity and a decrease in retail prices with an unchanged cost price can influence the revenue, margins and profitability. To get the most out of sales promotions, it’s important to carefully determine which promotion will yield the most value – in volume and budget – thereby taking into account the side-effects. Organizations that have a proper planning tool, e.g. Arkieva, can run ‘what if’ scenarios to check the impact of promotional campaigns with different conditions on the same product. With an integrated promotion and demand planning, it’s also possible to reckon with the type of customer agreements. Think, for example, of national agreements where large retailers have negotiated a discount for a longer period per country. These discounts can then be included in the thinking exercise for setting up regular promotions. 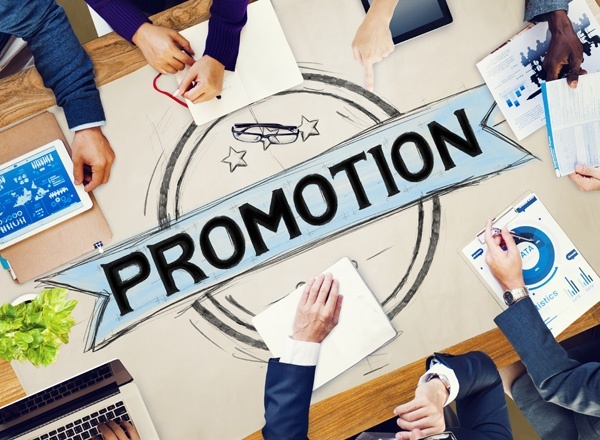 And, for regular promotions too, there are several data which can be incorporated in the planning of promotions to optimize the promotion forecast, such as the discount mechanism (e.g. bill back), the geographical limitation and the overhead costs linked to that promotion (e.g. displays).To make the link in the promotion planning between volume and value, increasing use is made nowadays of price elasticity mechanisms. Instead of asking Sales how much extra volume they expect to sell, the desired extra revenue is assessed. A lot of companies still execute the most critical steps of their promotion planning process on spreadsheets. However, to really include all the pre- and post-effects, an automated tool is needed, taking into account a variety of data sources. These days, the planning of promotions is often suboptimal because it demands too much manual work. And that’s a pity. An automated promotion planning will also bring great benefits in terms of integration. An integration with the ERP (Enterprise Resource Planning) system will make it possible to link order volumes to value in real time. The possibility of daily follow-up also ensures that you can adjust during the period. Concretely: if a nut producer, according to the promotion forecast, will sell a hundred bags of extra spicy nuts in the space of 4 weeks because they are already active in advertising, yet after 2 weeks only 20 are sold, then an extra marketing boost to the retailer and/or consumer is advisable. An integrated demand and promotion tool responds, in turn, to the inevitable bias that exists between sales promotions and demand. The latter is also important to be able to start the forecasting process with clean data. The cleaning-up of promotion history data when forecasting the demand is often overlooked, leading to poorer forecast accuracy. And this can often be a very complex calculation. To give an example: how to clean up the cannibalization effect on different products presented in one promotional display? Planning automation: to be or not to be? Reading this article, you may wonder why integrated planning tools are not yet a commodity. The biggest challenge in the promotion domain is to overcome the skepticism that it is possible, e.g. how to deploy a forecasting tool which is capable of providing precise promotion forecasts on SKU (Stock Keeping Unit) and aggregated level without lots of manual intervention. This skepticism often causes organizations to do nothing or tolerate poor sales forecasts from inadequate systems, such as Excel. However, in an increasingly data-driven society, with high-demanding and floating customers, solid promotion planning will become more and more a necessity. Would you like to read an example about promotion complications? Read the article about the Perfetti Van Melle experience concerning Promotion Planning!